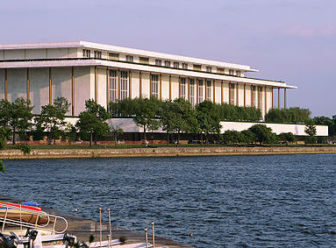 The Kennedy Center for the Performing Arts, of which Rep. Rosa DeLauro is a trustee. Washington – Rep. Rosa DeLauro is a member or a board member of 21 organizations, a Republican group helped pay for Democratic Rep. John Larson’s trip to Italy, and Sen. Chris Murphy and his wife still have student loans, Congress’ latest personal financial reports show. 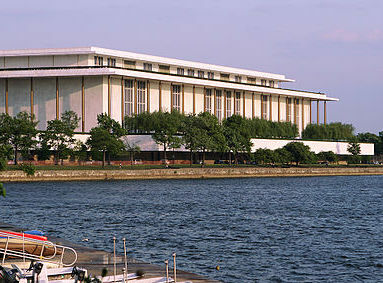 DeLauro, a member of the Democratic House leadership, reported holding one of the most coveted positions in Washington — she’s on the Kennedy Center’s Board of Trustees. Her financial disclosure report for 2014 also shows DeLauro is on the boards of many charitable groups, including the Diaper Bank, which helps provide diapers to low-income families. According to her filings, DeLauro is a member of the NAACP and the Italian-American Historical Society of Connecticut and an honorary board member of the Women’s Health Research at Yale and the Special Olympics and a “distinguished board member” of the National Organization of Italian American Women. She and her husband, Stanley Greenberg, also reported having two mortgages, one for a home in New Haven and one for a home on Capitol Hill, each valued at between $500,001 and $1 million. Her husband’s political consulting and polling company was valued at between $5 million and $25 million. Members of Congress report their investment holdings and liabilities in wide ranges, so only a broad view of a lawmaker’s assets and liabilities are made public. Even so, Murphy’s filings show he continues to be one of the least wealthy members of the Senate, where the median net worth was $2.8 million in 2013, according to the Center for Responsive Politics. The group said the median wealth for an American family that year was $56,355. Murphy reported student loans for his wife and himself valued at between $15,001 and $50,000 each and a home mortgage between $250,000 and $500,000. But the couple also disclosed having between $100,000 and $250,000 in a savings account. Federal candidates are not required to live where they run for office. Some lawmakers rent or own a home in the Washington region to avoid long commutes. Although Murphy continues to own and use his home in Cheshire, he has leased a home on Capitol Hill, and his young sons, aged 3 and 6, now attend school in Washington, D.C.
“Politics takes a back seat when it comes to making my kids happy, and my kids are happy when they are with me,” Murphy said. He also said his family commutes back to Connecticut whenever possible. The Senate is usually in session three or four days every week, although there are many congressional breaks, including one for nearly the whole month of August. The financial disclosure reports were due to be filed on May 15 and made public on June15. But some of the Connecticut congressional delegation’s reports were not available. Reps. Jim Himes, D-4th District, and Elizabeth Esty, D-5th District, received 30-day extensions to file their reports. Sen. Richard Blumenthal, D-Conn., one of the wealthiest members of Congress, received a 90-day extension, just as he has every year since he assumed office in the Senate in 2011. Larson’s financial disclosures showed the congressman bought and sold stock in dozens of companies last year, including United Technologies, Nestle and Northeast Utilities. But most delegation members preferred to invest in the stock market through mutual funds, like Rep. Joe Courtney, D-2nd District, who also reported a mortgage valued at between $50,000 and $100,000. Courtney also disclosed he accepted a trip to Toronto, Canada that was paid for by the Connecticut District Export Council, a business group. The Ripon Society, a centrist Republican public policy organization, and Global Policy Exchange, a non-partisan group that brings together members of Congress with lawmakers overseas, paid for Larson’s trip to Rome in November. The Center for Democracy in the Americas, a liberal group that has been highly critical of U.S. policy toward Cuba, paid for DeLauro’s trip to Havana last year, the financial disclosure reports show. DeLauro traveled to Cuba again earlier this year with House Minority Leader Nancy Pelosi, D-Calif., a trip that was paid for by Congress. Lawmakers did not have to disclose the salaries of their spouses. Rank-and-file lawmakers were paid $174,000 last year.